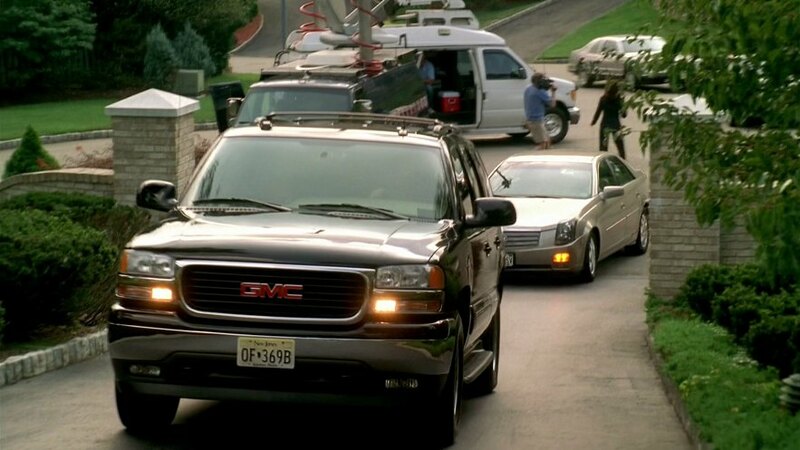 IMCDb.org: 2005 GMC Yukon SLT [GMT820] in "The Sopranos, 1999-2007"
Silvio's new car in series 6. That’s not a 2006 model, it's a 2005 model. The reason is the Yukon does not have the rear plastic brakelamp valance that was equipped on the 2006 models. I provided a picture of a 2006 model. The brakelamp valance is shown inside the Yellow squares. Are you sure that valance isn't an optional extra? Yes, it came standard on all 2006 models, all trim levels. The Chevrolet Tahoe and Suburban had them as did the GMC Yukon, Yukon XL, Yukon Denali and Yukon XL Denali. I always wonder with The Sopranos is the episodes were filmed in the year they were transmitted or the year before. Series 6 began in the US in March 2006. After driving various stylish, understated Cadillac Sevilles, the family Consigliere Silvio Dante (Steven Van Zandt) finally plumps for a dirty great SUV. The Seville suited his character better. Mabey he bought it to impress Tony, who seems to have a passion for SUV's. 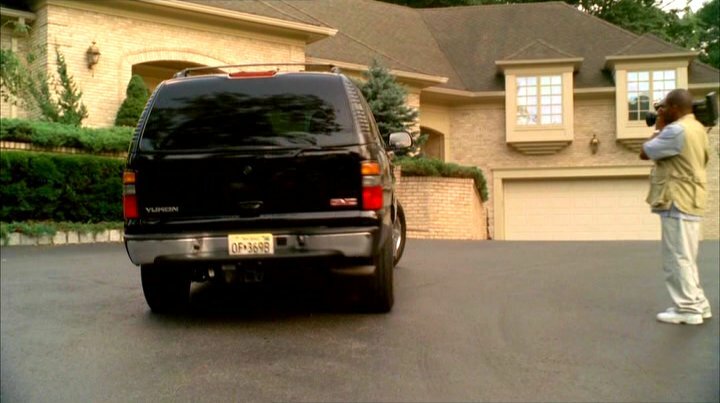 Tony has owned nothing but SUV's in the whole series. He's had a Chevy Suburban and two Cadillac Escalades. He bought a Porsche Cayenne Turbo for Carmela and a Nissan Xterra for AJ. Or prehaps Silvio needed a SUV. He has a family (wife and kids, not the maffia term), and i bet GMC Yukons are great family cars. a large family, and would probably make more sense on the show. Tony only has a wife and two kids and he never goes offroad. I'm not sure why he drove a Chevrolet Surburban in the first 4 seasons (at one point he says "why did I buy an offroad vehicle? "), a lot of the other gangsters have Cadillacs and Lincolns, the Suburban isn't a very glamourous car, I think the Escalade he gets in series 5 is a better fit for a mob boss, big, intimidating and flashy.